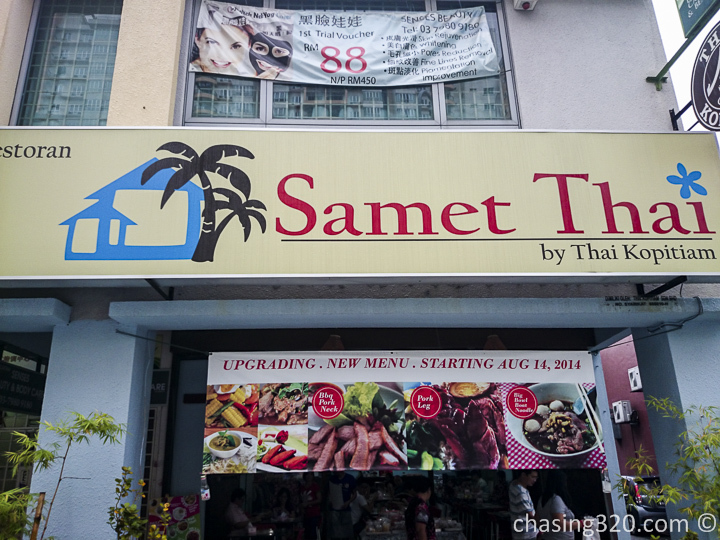 Another place to have Thai food in Kuchai Entrepreneur’s Park is Samet Thai. This was part of a discovery on an adventurous food weekend. 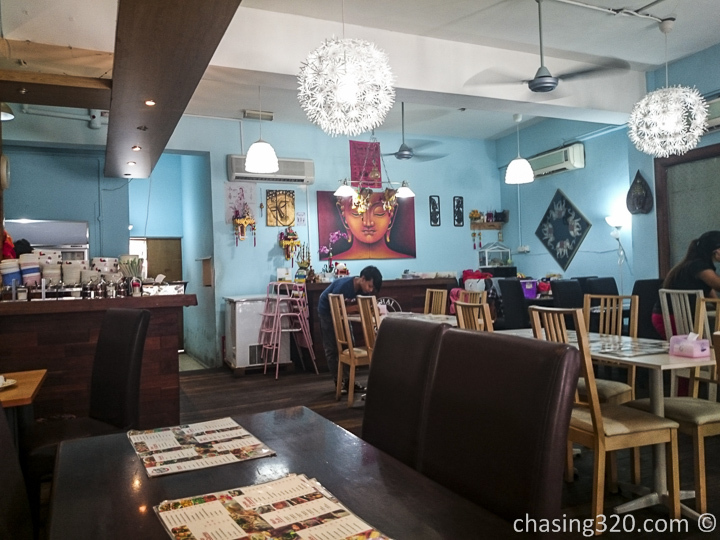 When you enter the restaurant, it is carries a Thai feel due to the decoration and choice of wall color. 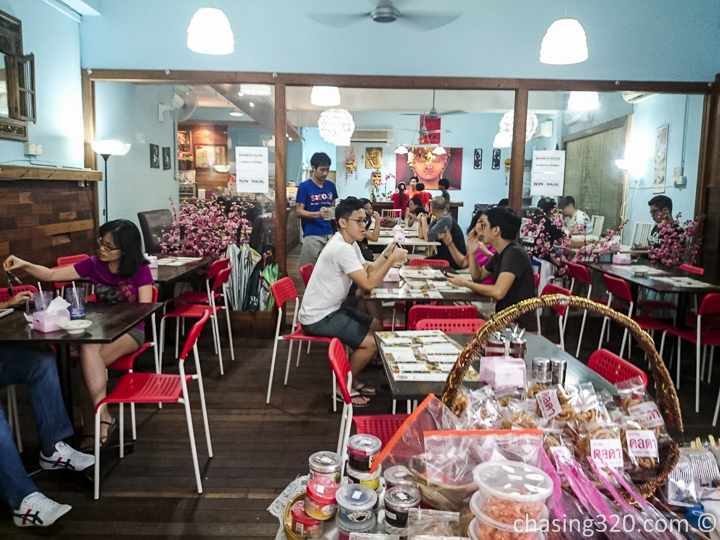 The restaurant seems to be run by Thais and some of the younger newer staff may not have a good command of the local language. Opt for the point and nod method. 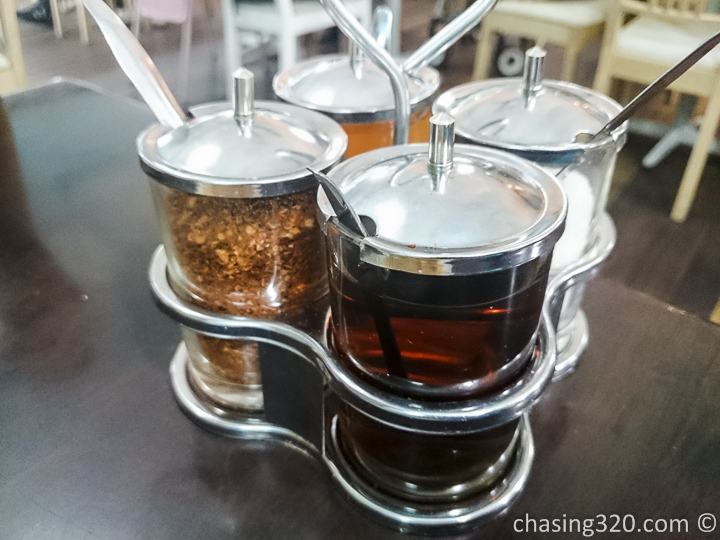 You may opt to order ala carte style or order dishes to share with rice. 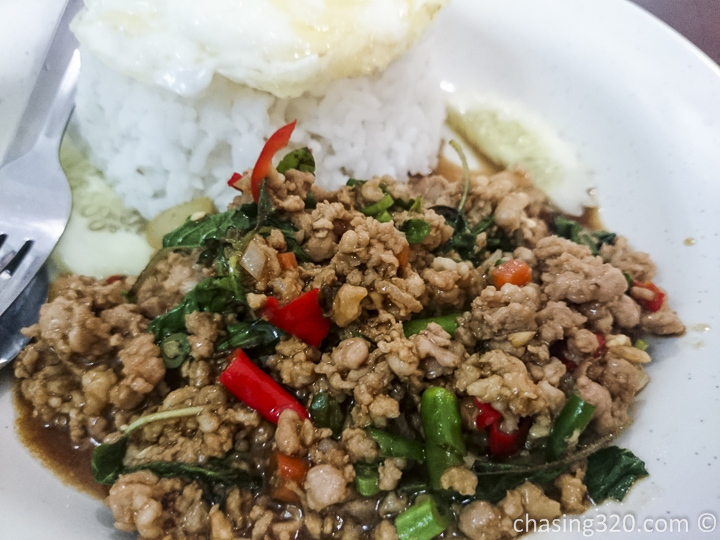 I always order the Thai Basil fried meats be it chick or pork. One mistake when ordering was to forget to ask for the less spicy. 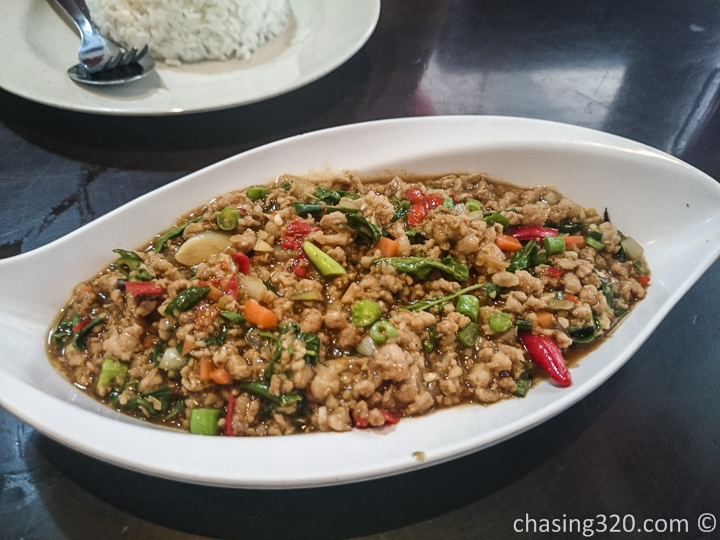 Thai cuisine is mainly spicy and sour incorporated. 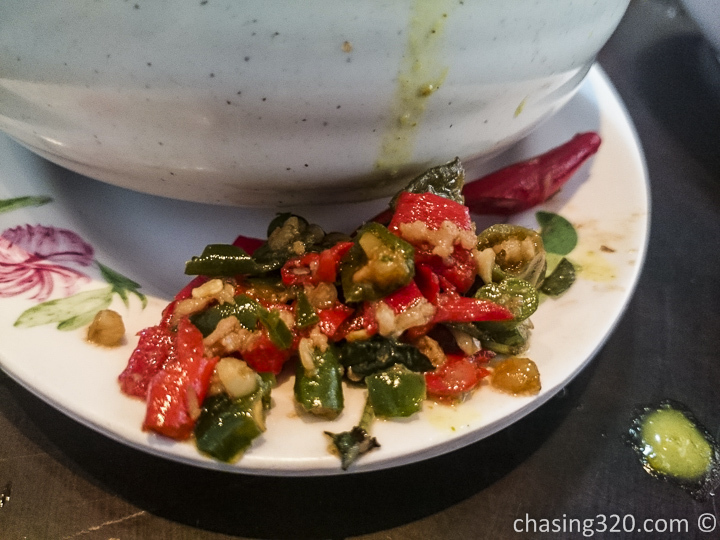 You get spicy chilies known in the peninsular region as cili padi and these require some to cut using gloves. It is that hot. Imagine having a mouthful. Green or red, they will assault your mouth and lips and tongue. 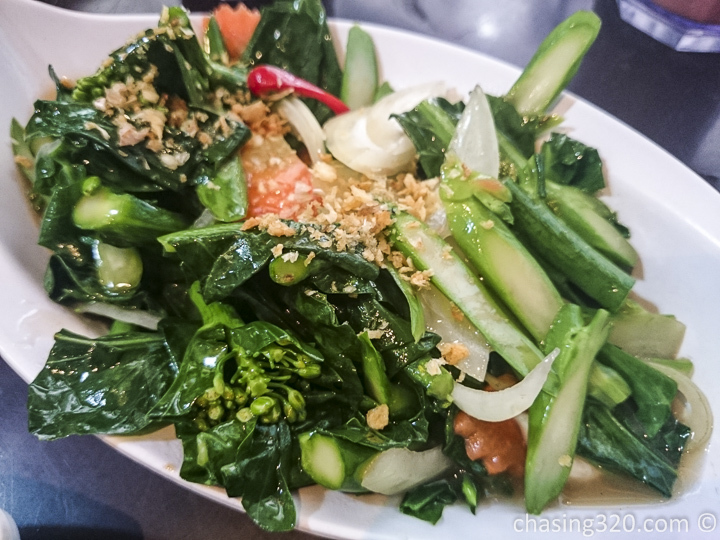 We also ordered the commonly ordered fried kailan. 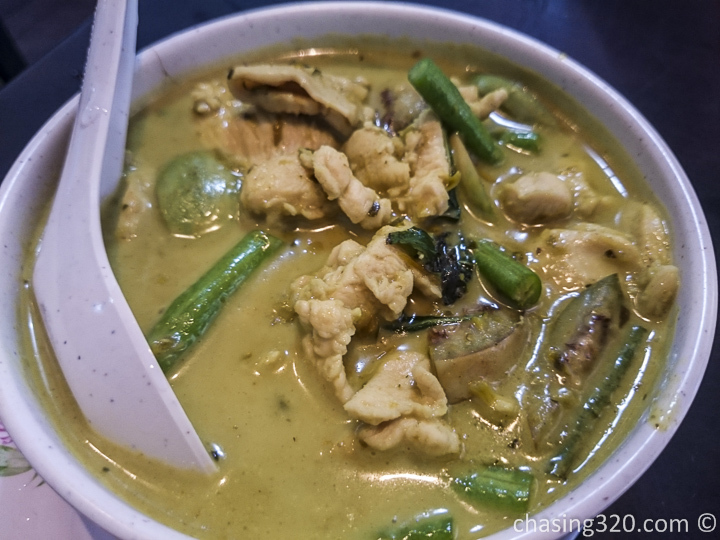 My experience with Thai food is that for vegetables, they are usually a hit and miss. It all depends on the cook. Their specialty seems to lie in pickles and fresh salads from my experience. The curry goes very well with rice and the chicken slices do well to complement and add some protein. You can order this and rice and it will be a hearty meal. 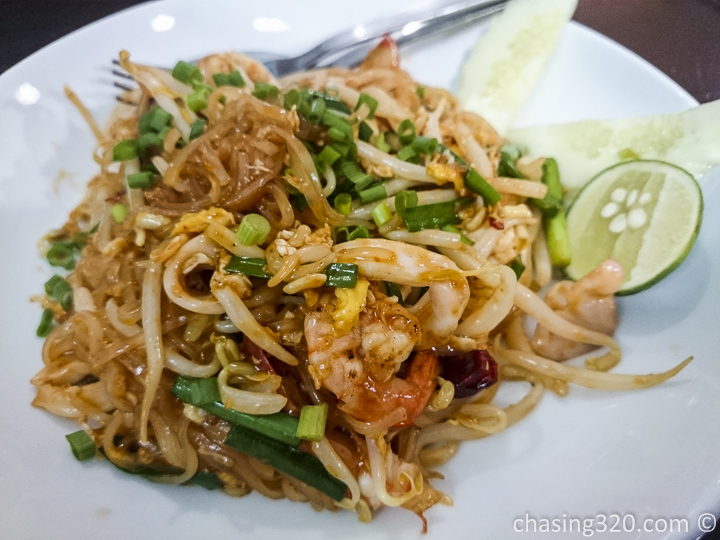 On a different occasion, I did order the pad thai which is Thai version of fried kuey teow. This one was not too bad. More on the sweet side and I had to add some thai soy sauce. I won’t be ordering this again. 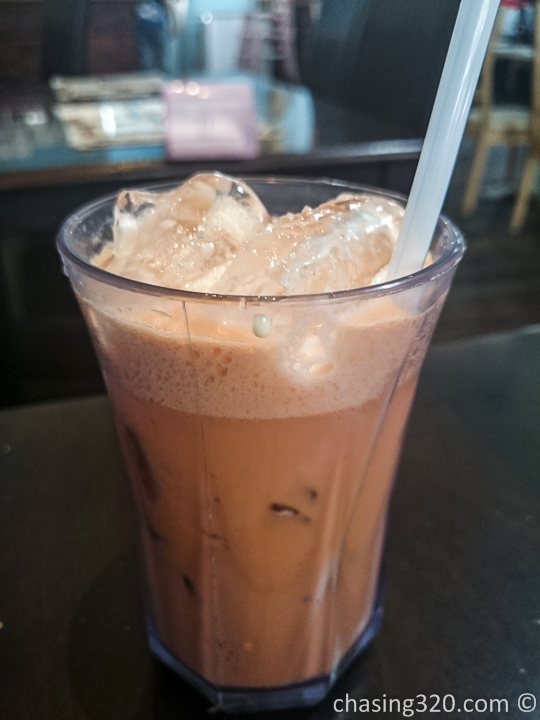 Thai milk tea is a must when dining at Thai restaurants. 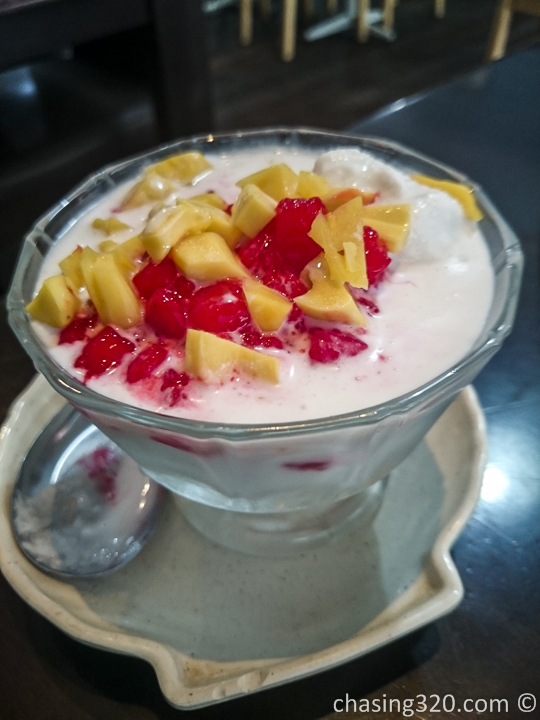 Lastly, the desserts of tob tim krub which consists of sweet coconut milk , ice, red sago jelly and slices of jackfruit is surely a refreshing dessert on hot tropical days. Samet Thai version of the tob tim krub consists of freezing the coconut milk and then using it as ice shavings. This actually makes the dessert less diluted. 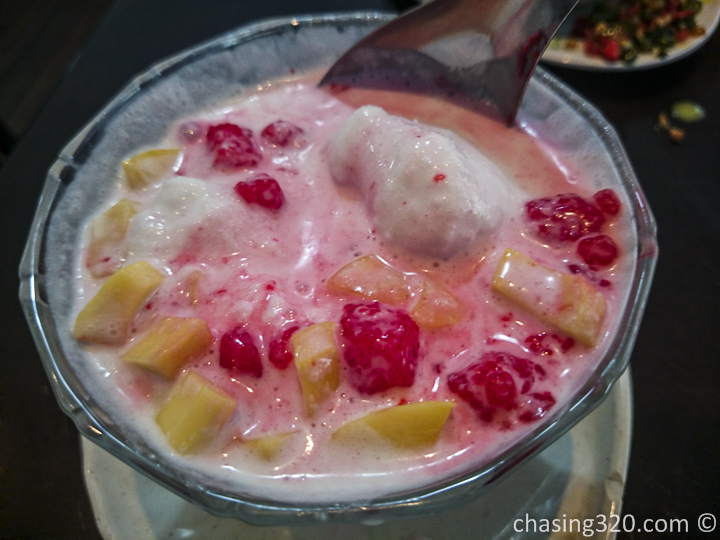 The more common version will have coconut milk with ice which will dilute as the ice melts. 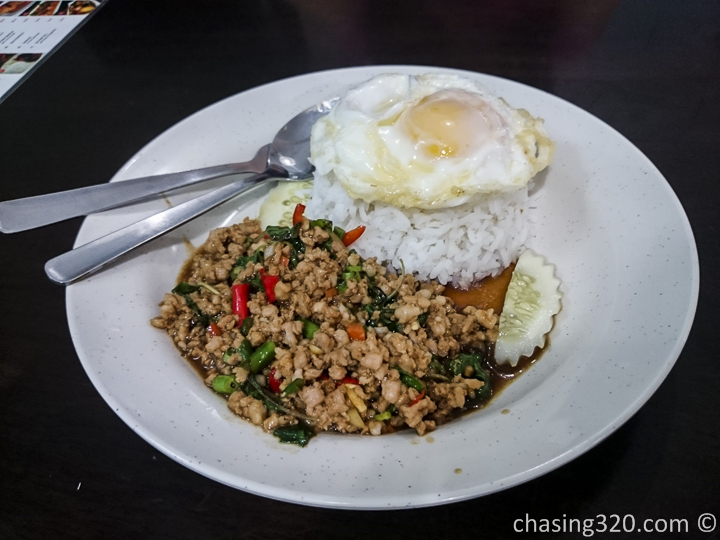 Initially, I did not prefer the Samet Thai version but after taking it for the second time, I appreciated what it was and not mind it. 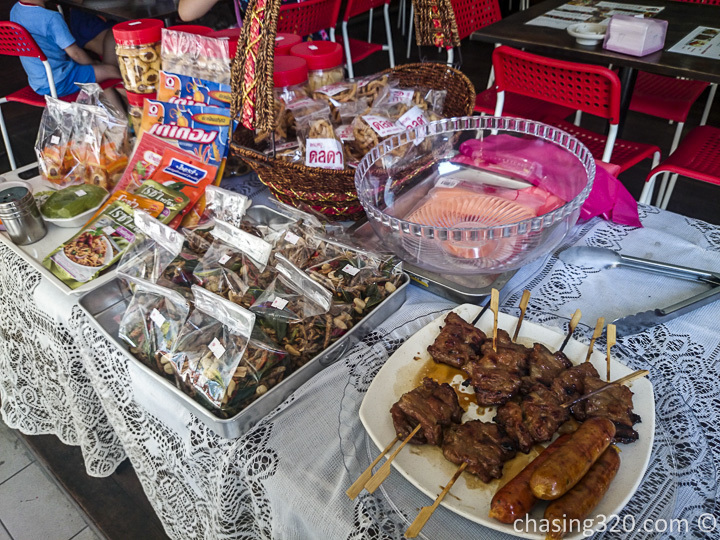 You can also buy snacks at the entrance of the shop. 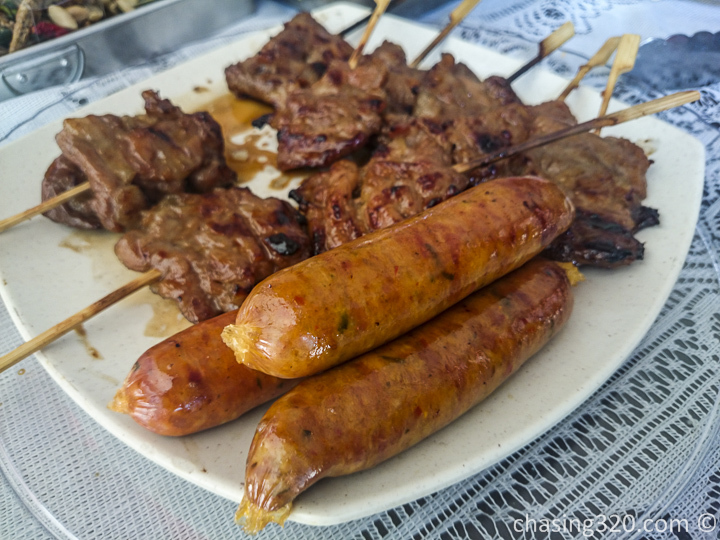 Caution as the sticks of meat do cost RM3 to RM4 on average. The price is quite reasonable and they do charge service charge, though if you want to tip, you may always do so.